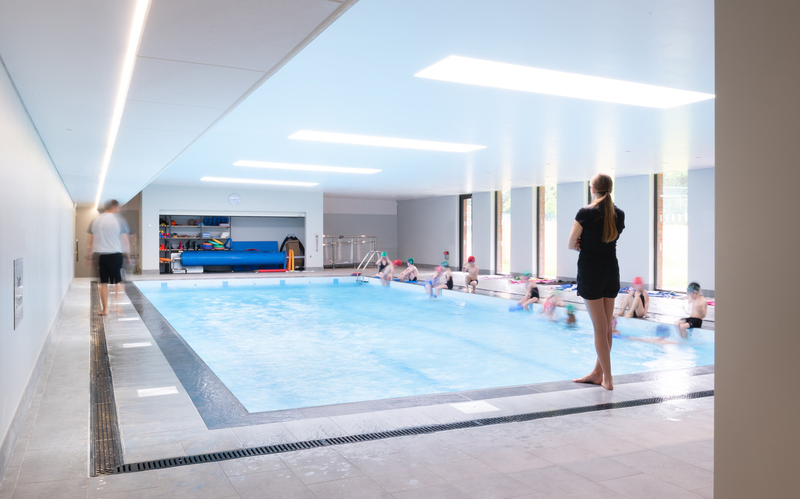 ECE have completed a new indoor pool for Rose Hill, an independent preparatory school in Tunbridge Wells. 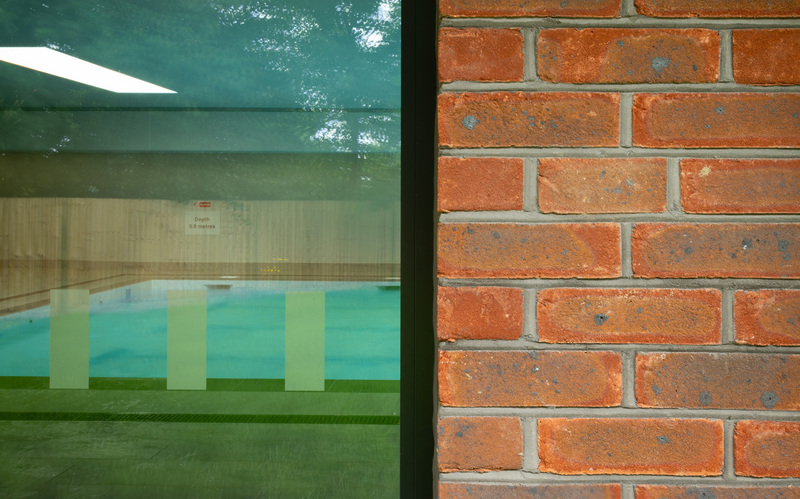 After working with the school on two previous projects, ECE were selected to deliver the next phase of development for the school. 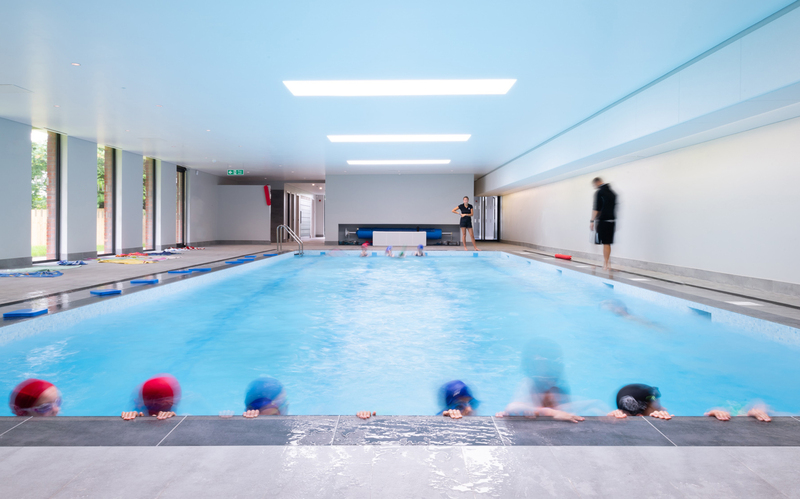 The building incorporates a new swimming pool, changing rooms and foyer space. 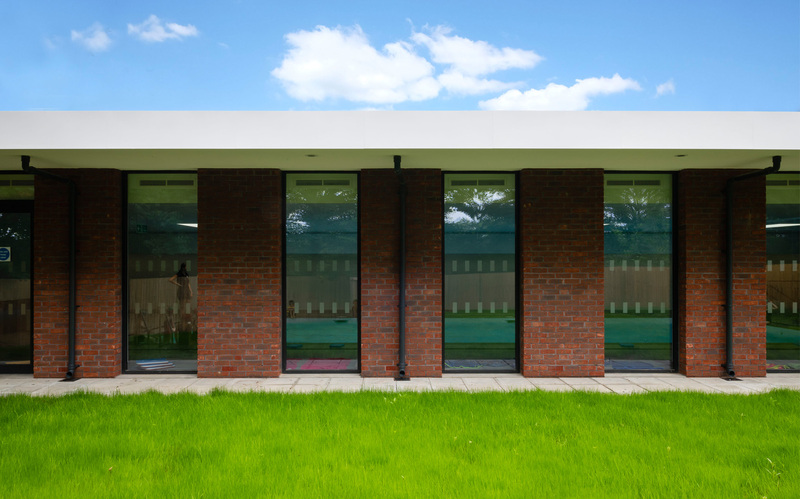 It is located on the school approach road and creates facilities for pupils and hire by local community groups. 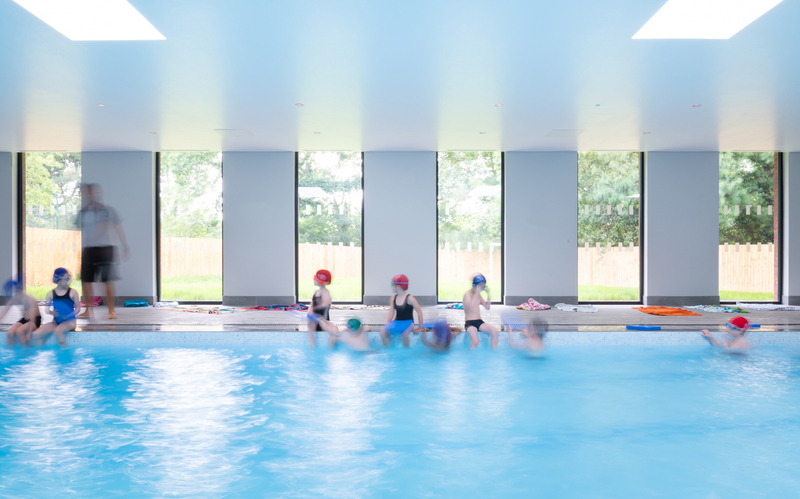 The scheme offers a high quality, sustainable and contemporary design that sensitively integrate into the school grounds and gives the school a fantastic facility..
“We have been hoping for an indoor pool at the school for thirty years, since my children attended. 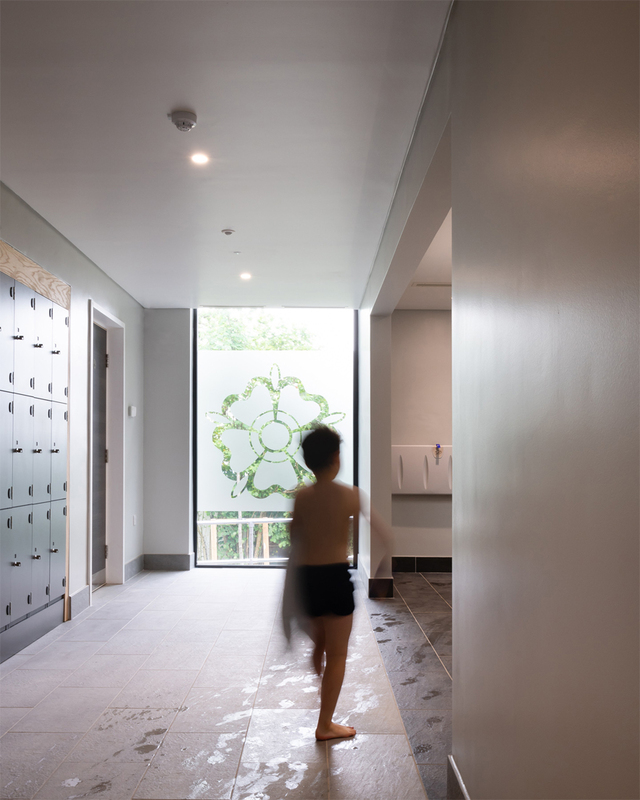 I am so pleased it is finally here and that you are lucky enough to enjoy such a facility”.